We select excellent local dairy suppliers and affix our brand as a guarantee of the quality of the products we offer; genuine masterpieces true to Italian tradition. This is the case with our Buffalo Mozzarella PDO, Grana Padano PDO, Provola, Gorgonzola and Pecorino. These are all traditional products that recall a different world and a totally Italian way of life. 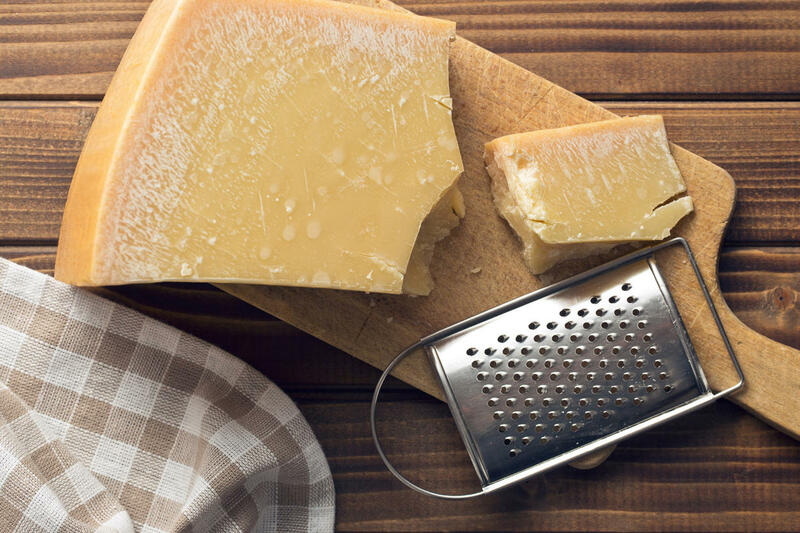 Produced at the best dairy farms in the plains of the Po Valley, the Ferrarini Grana Padano PDO, one of the oldest cheeses in Europe, has a special place in our cheese selection. This slowly ripened, hard, cooked cheese is produced from raw cow’s milk through the process of coagulation, using rennet. The cows are fed with fresh or conserved fodder and are milked twice daily. The Ferrarini Grana Padano PDO is left to rest and is partially skimmed in order to remove the cream which naturally surfaces. Did you know that you can find both Mozzarella and Buffalo Mozzarella PDO at Ferrarini? Mozzarella is a fresh cheese that originates from Campania, made following the typical Italian pasta filata (stretched curd) method. Traditionally it was made with buffalo milk, but it has also been made with cow's milk. It was initially called Fior di Latte. The Buffalo Mozzarella is a dairy product of 'Southern Italy, traditionally produced in Campania, especially in the provinces of Caserta and Salerno. The production of this typical italian cheese is also held in other parts of Campania and southern Lazio, Puglia and in the upper town of Venafro in Molise. When choosing the best Italian cheeses one cannot leave out Gorgonzola, a raw white cheese with green veining due to the process of marbling, i.e. the formation of mould. Our gorgonzola is soft and creamy with a unique and distinctive taste. It comes in two versions: sweet with a hint of spice or strong with a full flavour, which is a more veined, dense and crumbly cheese. For more than two thousand years, the flocks of sheep that freely graze the green Italian countryside have produced the milk that is used for this unique cheese, which could not fail to be included amongst Ferrarini's delicacies. From its taste and aroma to its consistency and nutritional value, everything in our Pecorino cheese is perfectly balanced and harmonious. The Ferrarini Provolone is a versatile, modern cheese, and our company only chooses products from the very best Italian producers. Made using the pasta filata (stretched curd) method, it can be used in various recipes, and adds an extra dimension to numerous dishes from the best Italian culinary tradition.